Most working days in the studio begin with a quick warm-up sketch. In addition to getting the fingers ready for a full day of brushwork, they also train the eyes to make quick and accurate judgements. Details are usually omitted – the focus is on large shapes and correct colors. The subjects may or may not be related to the current larger painting. Often they’re simply interesting objects from the studio collection that may never have been painted before. 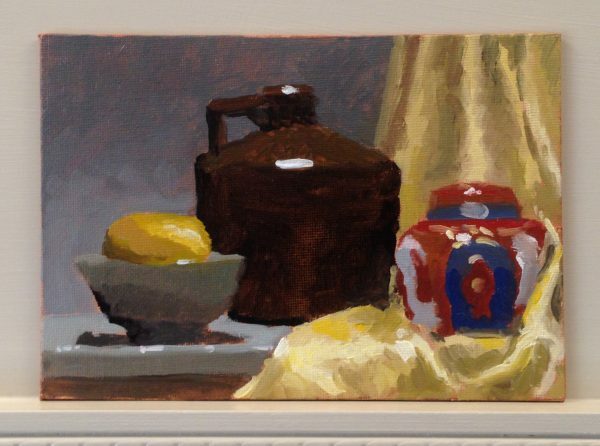 To keep it short, only 30 minutes are allowed for these sketches – strictly enforced by a kitchen timer on the easel. When the time is up, the sketch is finished and the brushes go down. The canvas on which it is done has been “toned” – stained with a thin coat of natural earth pigments. This cuts the brilliant white of the plain canvas, making the accurate judging and mixing of colors easier. The tone is exposed around the borders. Where the paint in the sketch is thinly applied, it shows through, creating a depth and warmth that cannot be achieved any other way. 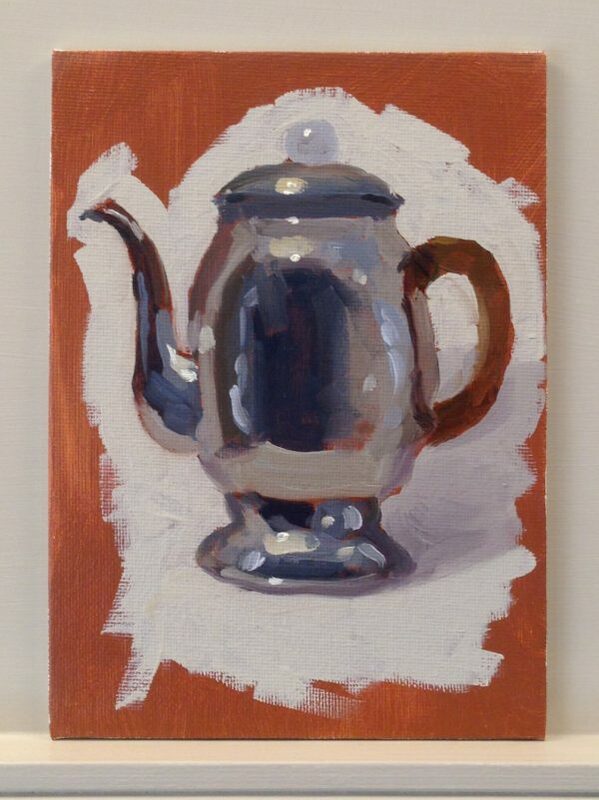 Painted with oil on canvas, this sketch measures 10 x 8 inches (25×20 cm). The painting is presented with the matte shown in the image. This cream-colored matte showcases the painting under a shallow, arched opening – a dramatic presentation. 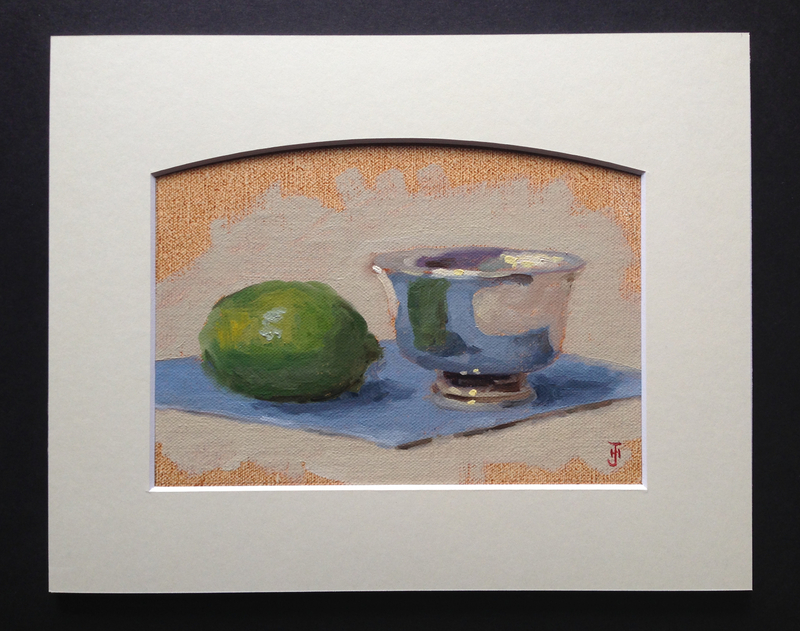 Measuring 10 x 8 inches – a standard size – this painting can immediately and easily be placed in any standard 10×8 frame. Of course, your framer can also create a custom presentation for it. It is ready for your collection today. This painting will ship on the next business day via United States Postal Service. A fee of $4.95 is added for domestic shipping, and $15 is added for international shipping. A tax of 6.25% is added to the base price when this painting is shipped to a Massachusetts address. You will be even more delighted by this painting in person, or you may return it for a full refund of the purchase price plus return shipping. Q: Is my satisfaction with my painting guaranteed? A: Unconditionally. You will be even more delighted with your painting when you unwrap it and hold it in your hands than when you saw it online. If not, you may return it for a full refund of the purchase price and the cost of return shipping. There is simply no risk to try this painting in your own home. Q: How will my painting be shipped to me? A: By default, your painting will be shipped to you using the Priority Mail service of the United States Postal Service. Over time, we have found this to be best and most reliable method for shipping artwork, and brings highest value to collectors. Please use the contact form at the bottom of this page if you would like to discuss a different shipping option. Q: What is included in the shipping cost? The shipping cost has been configured to give you optimal value and security. In addition to the base Priority Mail shipping rate, your painting will be insured for its full purchase price during shipment. Signature Confirmation service is also included to ensure your painting is delivered into the hands of an actual person. 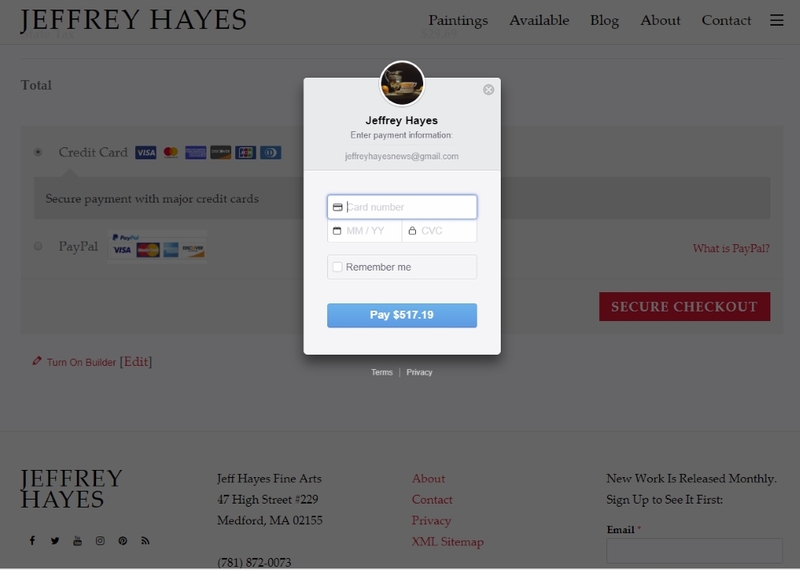 (If signing for your painting is inconvenient for you, it may be omitted by special request in the Order Notes field on the checkout page).The slight increase in the shipping charge for these premium services is far offset by the peace of mind they bring. Q: Is my painting insured during shipping? Yes. Your painting is insured during shipment for its full purchase price. Q: When can I expect my painting? Your painting will ship on the next business day. From that point, the expected delivery time within the Continental United States is between 1 and 3 days. International shipping will of course require more time. Please be mindful that holiday shipping volume may also impact delivery time. Q: How is my painting packaged for delivery? Every care is taken to ensure that your painting arrives at your home in the same condition that it left the studio. It will be wrapped in multiple layers of protective material, keeping it secure even if the outer box sustains minor damage. Only major damage to the shipping box will affect your painting. Q: Can I send a painting as a gift? Absolutely. When you purchase a painting as a gift, it will be specially wrapped at no extra charge and shipped directly to the recipient. The invoice will be sent to your billing address. Q: Are gift paintings guaranteed? Yes – the same guarantee applies to all paintings, regardless of whether they are purchased as gifts or not. The recipient must be absolutely delighted with the painting. If for any reason it must be returned, the recipient will be reimbursed for the cost of return shipping to my studio. Q: Will the gift arrive on time for the special occasion? 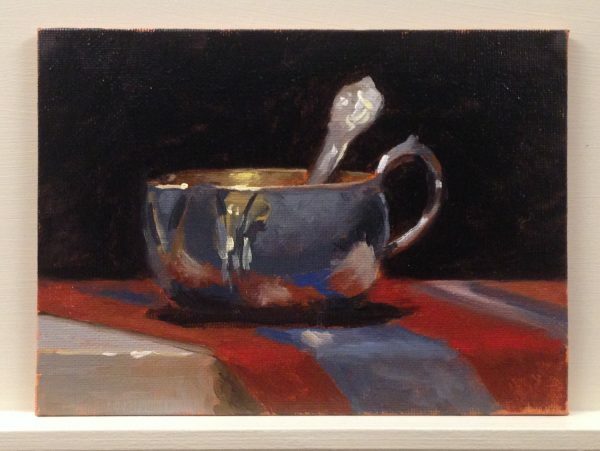 Q: How do I send a painting as a gift? 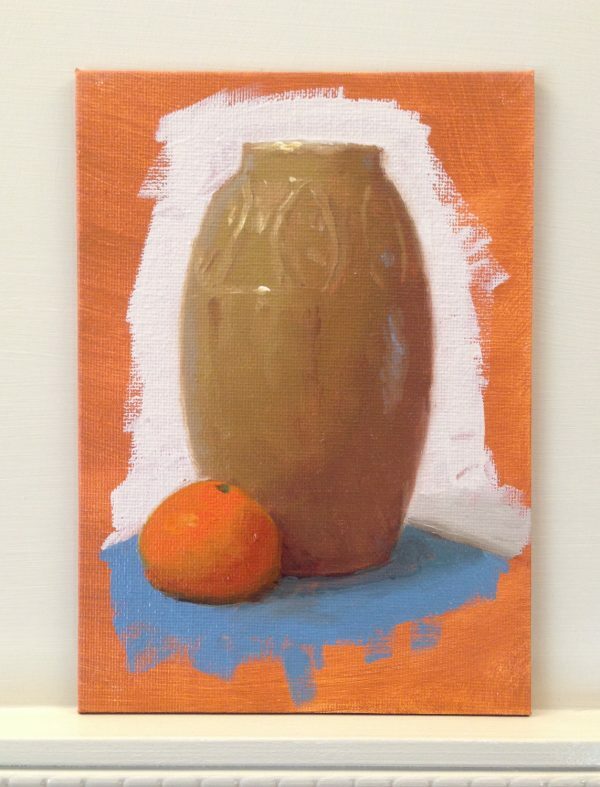 Click the “Send Painting as a Gift” checkbox above the red “Acquire This Painting” button. 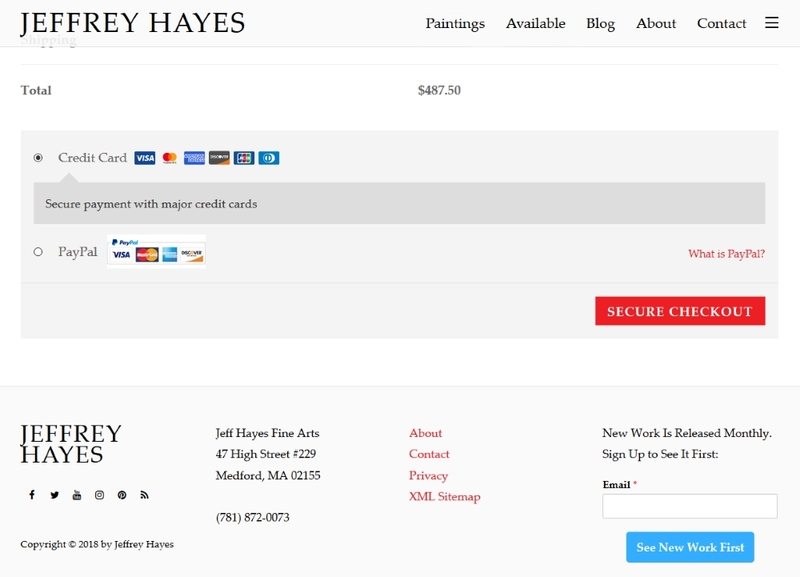 After clicking the red “Acquire This Painting” button, you will be taken to the checkout page. 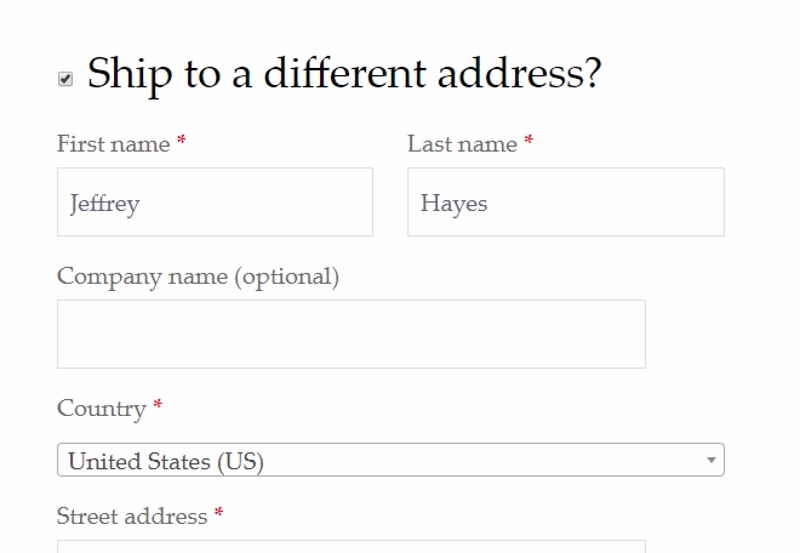 Make sure the checkbox next to the “Ship to a Different Address” heading is checked, and enter the name and address of the recipient under that section. 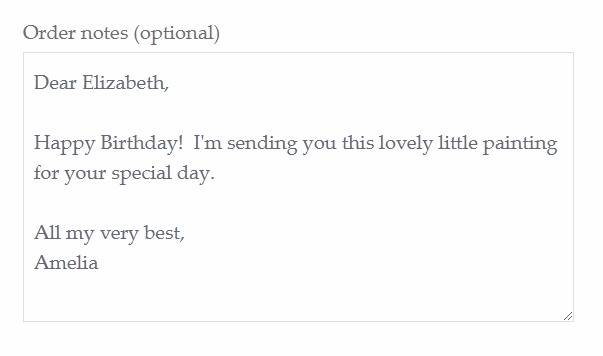 You may include a special message to the recipient. Enter it into the “Order Notes” field beneath the “Ship to a Different Address” section. Your message will be printed onto a separate card and included with the painting. Q: Is there a sales tax for my painting? A: State sales tax of 6.25% will be added if your painting will be shipped to a Massachusetts address. Shipments to other states do not require collection of sales tax. Q: Can I try this painting on an approval basis? A: Although we do not specifically offer an approval program, the guarantee provides you with exactly the same value: You will be even more delighted with your painting when you unwrap it and hold it in your hands than when you saw it online. If not, you may return it for a full refund of the purchase price and the cost of return shipping. There is simply no risk to try this painting in your own home. Q: How will I pay for my painting? 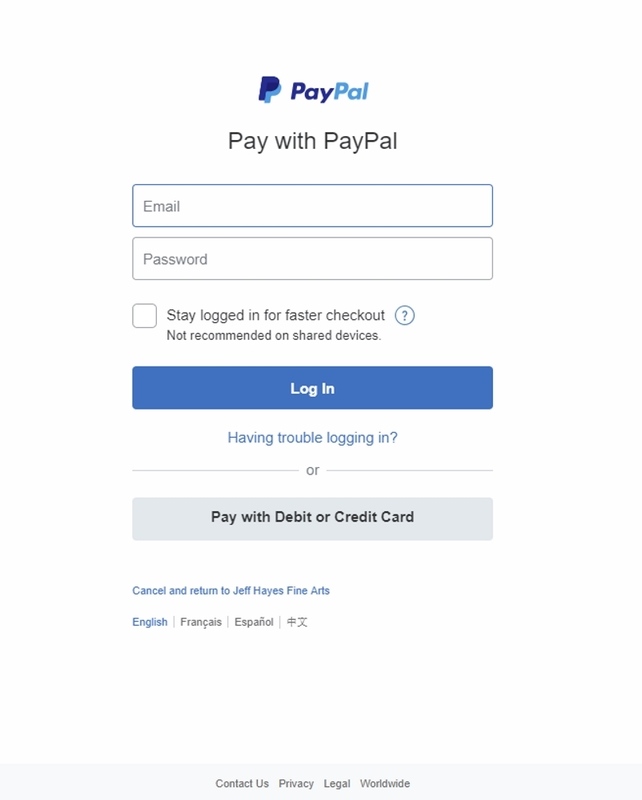 A: All major credit cards are accepted, as well as PayPal. 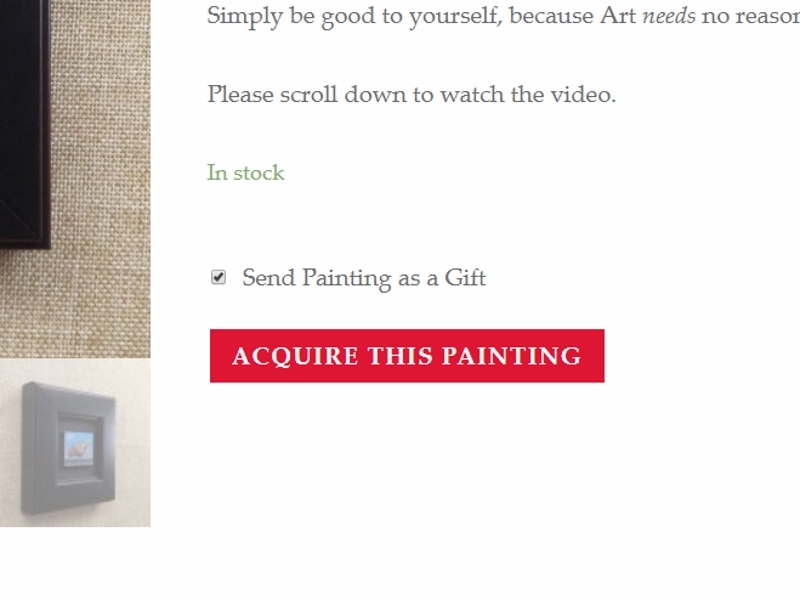 When you click the red “Acquire This Painting” button above, you will be taken to the checkout page. Enter your billing details, a shipping address (if different from your billing address), and any special Order Notes you may wish to specify. 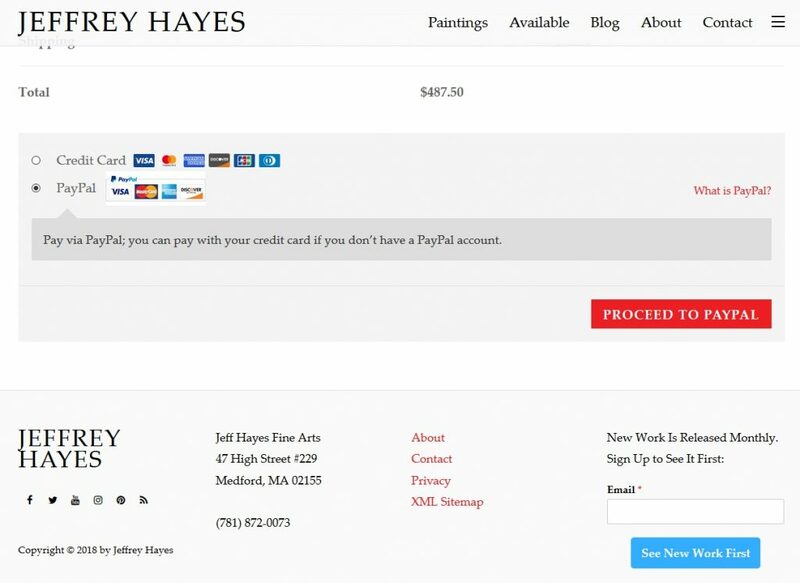 If you would like to discuss other payment options for acquiring your painting, please use the contact form below.